Big data does not faze Ester Belén Bandiera. At Continental, the young Argentinian analyses a huge amount of data – and consolidates it to create an innovative forecast model. Her hands moving deftly, Ester Belén Bandiera covers a piece of paper with clouds, boxes, and arrows to the sound of her silver bracelet jingling quietly. Hers is a world of numbers – or rather, what they tell us. Sometimes, however, this cannot be put into words easily – particularly when talking to people who are not well versed in statistics and algorithms. Like most of us. Belén laughs almost apologetically and pushes back a long strand of dark blond hair. She is not how you would imagine a computer geek to be. Belén is used to explaining. "Even my colleagues here in quality management often don't really know what I do exactly." The "PLATFORM Project" is of great strategic significance within the corporation. Continental’s global production is accompanied by a vast amount of data, which is systematically recorded at the plants and transferred to headquarters. Quality management gains important insights from this data: How can tyre production be improved further? How can we reduce costs and simplify processes further? "Until now, this has been a very time-consuming process due to the many different data sources," explains Belén. "If, for example, you want to check the temperature during a specific production step, you have to refer to one system. If you want to know which machine was used, you have to refer to another." This then involves the analysis of countless – and often manually compiled – Excel lists. This is set to change in the future. The "PLATFORM Project" consolidates all data on a single IT platform. This makes it easy to find out about the current situation with a click of the mouse – enabling a faster response in the event of abnormalities. Plants are being connected to the system one by one. The plan is for all 18 of Continental's tyre plants to be able to access the system and send their data to headquarters using a standardised process by 2017. Then, Ester Belén Bandiera and her colleagues will be able to apply complex mathematical-statistical models to the countless dependencies and influencing factors to make forecasts for even more efficient tyre production. Last year, for example, saw the kick-off at the Conti plant in Hefei, China. Full of enthusiasm, Belén gave her presentation to employees and plant management and answered a multitude of questions. When it comes to knowledge of “her” field, the 26-year-old Argentinian is unrivaled. Belén realised that she found math fun back in her school days. Brought up in the Argentinian beach resort of Mar del Plata, she decided to pursue a degree in industrial engineering. Belén came to Germany in 2013 on a scholarship from the German Academic Exchange Service (DAAD) – and is still here today. "I found out about Continental at a job fair and applied for an internship in quality management with the Tyre division," explains Belén. A year later, she was hired in the same division as a data analyst, developed the concept for data analysis as part of the "PLATFORM Project" – and is now implementing it plant by plant. 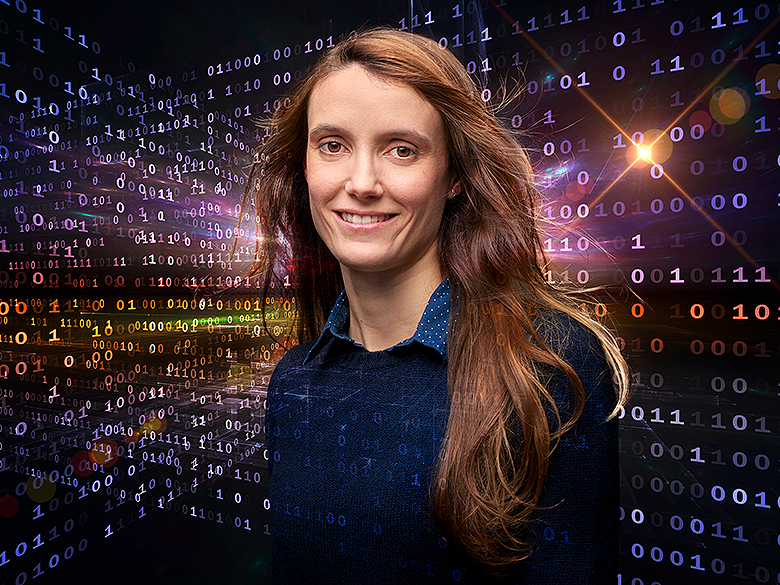 Ester Belén Bandieras's brown eyes sparkle: "I bring the intelligence to the data warehouse!"